After a whirlwind couple of weeks attending both the Council of Supply Chain Management Professionals (CSCMP) and the National Defense Transportation Association (NDTA) conferences, I am left dizzy with trends and causes and concerns and opportunities. There was a room busting at the seams to hear Amazon’s secret to success; there were speeches from generals heralding the transportation industry for their work in helping with this country’s defense. There was so much that I gave up taking notes and started taking pictures of the slides instead! But once I was able to sit down and digest it all, a small voice echoes in my head with a phrase I heard more often than any other in both shows. Data. That’s right. Data. How do we get more data? We need to be more effective and more efficient and- don’t forget- get more data. Consumer-specific data. Supplier data. Data from our WMS. TMS. ERP. Data from our carriers. Data. Data. Data. (And if you read that last part to the tune of “Marsha! Marsha! Marsha!” you are not alone.) If there was a thread to both shows, it was data. Technology is accelerating at a rapid pace. New pressures are put onto carriers and 3PLs to both keep up and compensate for any elusive data missing from the shipper. While shippers are more capable than ever, new initiatives in consumer-focused shipping (same day, flexible terms) and blockchain will push carriers even more towards delivering the same level of service in data as they do in transport. Data, data, data- it’s the call we all need to answer. 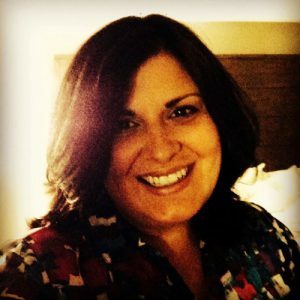 Roberta Tamburrino serves as the Director of Market Development for Daycos. She has held leadership roles in supply chain for the past 17 years, working in both the physical and financial supply chains for the betterment of her clients. Roberta may be reached at robertat@daycos.com.